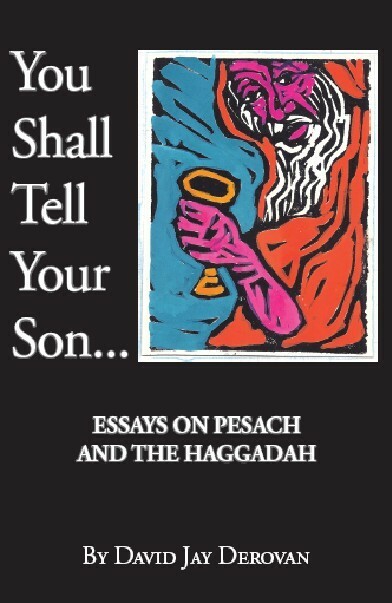 I suspect the publishers of In Every Generation: the JDC Haggadah are not going to thank me for writing that their book is what every Wicked Son needs, but bear with me on this. Firstly, I don’t see this somewhat misunderstood lad as being entirely bad. If he was really sunk in sin, then why would he be at the Seder anyway? But, for whatever reason, he cannot forge a connection with the festival. How can one get through to him? Forget sweet reason and history lessons. The way to break through is using pictures, not words. Well-composed, emotionally powerful, strong photographs can get messages across very effectively, and this Haggadah has quite a fair selection of them, drawn from the archives of the Joint Distribution Committee, more popularly known as “The Joint,” and illustrating its relief work. Unsurprisingly, this book is as much a celebration of the Joint as it is of the Seder: the Haggadah text is traditional and interspersed with accounts of the Joint’s endeavors. But it is the photographs that make this book something special. Families in distress clutch their gifts of matza at communal Seders. Refugees stumble on to Israel’s unfamiliar shores. Age-worn hands are clasped over eyes in prayer…. Yet, taken together, these pictures create a warm and attractive world of tradition, family, and the comforting embrace of Jewish concern and assistance at its best. The usual reply to the Wicked Son’s question is to tell him, in effect, to go away. This is wrong: he’s your son, right? Your reply should be to give him this Haggadah, so he can see what he is missing, and be drawn into the celebration. That way, this book will really have a happy ending. Original review from the Jerusalem Report can be found here. Rabbi Avigdor Nebenzahl, in a recent Dvar Torah on Parshat Tazriah noted the following observation: “We have spoken about using speech in a way prohibited by the Torah, one of the ways in which we can use our speech for mitzvoth is relating the story of the exodus from Egypt. Although it is important that we read the text of the Haggadah, we may and are encouraged to add and elaborate on the story of yetzias Mitzrayim, as we say in the Haggadah, ‘the more one relates the story of the exodus, the more praiseworthy is he’. Rabbi Abraham Isaac HaKohen Kook (1865-1935), the first Chief Rabbi of pre-state Israel, was much more than a communal leader. He has long been recognized as one of the most significant Jewish thinkers of the modern era, one who combined vast erudition in all areas of Torah scholarship together with a firm basis in general philosophy and a keen awareness of the upheavals of modernity. Undoubtedly the greatest influence on contem-porary Israeli Religious Zionism, Rav Kook’s difficult writings span the gamut of rabbinic genres; Jewish law and philosophy, commentary and no-vella. His great corpus, still being published and often difficult even for the native Hebrew reader, has been until recently completely off-limits to the English speaking audience. Amongst the recent contributions to the field of Rav Kook’s writings in English was Rabbi Chanan Morrison’s collection, Gold from the Land of Israel (Urim 2006), in which he masterfully adapted R. Kook’s sermons on the weekly Torah reading, culling material from a wide variety of R. Kook’s Hebrew works. Morrison, who studied in the Mercaz HaRav Yeshiva, founded by R. Kook in 1924, and who edits a popular on-line edition of R. Kook’s homilies, has now offered the reader a companion volume, Silver from the Land of Israel, which deals with R. Kook’s thought regarding the Sabbath and the Holidays, including not only Biblical holidays such as Rosh HaShana or Passover, but also the modern festivals of Yom HaAtzmaut and Jerusalem Day, celebrations that were begun, of course, after R. Kook’s own death, but which he in a sense anticipated in his writings. Morrison’s methodology in both volumes is not to translate directly from the writings of “HaRav” as R. Kook is often referred to by Israelis, but rather to freely adapt the raw material, often a blend of several sources, into a new unified whole, in order to best present the often complex ideas in a clear and flowing manner. Prominent Orthodox scholar Daniel Sperber explores in detail the history of our prayer liturgy, the changes that have occurred as it grew, the debates (halakhic, grammatical, semantic, and otherwise) that have always existed concerning the content and propriety of such changes, and the inevitable failure of those who have sought to permanently fix the liturgy and consolidate the nuschaot (variant traditions). Sperber’s conclusions are perhaps surprisingly liberal in halakhic reasoning, and pluralistic in attitude. Thoroughly researched, tightly reasoned, and eruditely analyzed, this is the finest book on this subject currently available in English. As a scholarly work, it is densely written, but quite accessible to the educated layperson with some knowledge of Jewish prayer and law. Jewish institutions, synagogues, rabbis, Jewish education professionals, and those interested and involved in prayer and prayer community, will find this book of great interest. As the three-week mega-event of “The Seforim Sale” at Yeshiva University wraps up, the results are in: Four of the top five bestselling books were published by OU Press | Jewish Educational Publications, the publishing house of the Orthodox Union. You are currently browsing the Jewish Book Review blog archives for April, 2011.